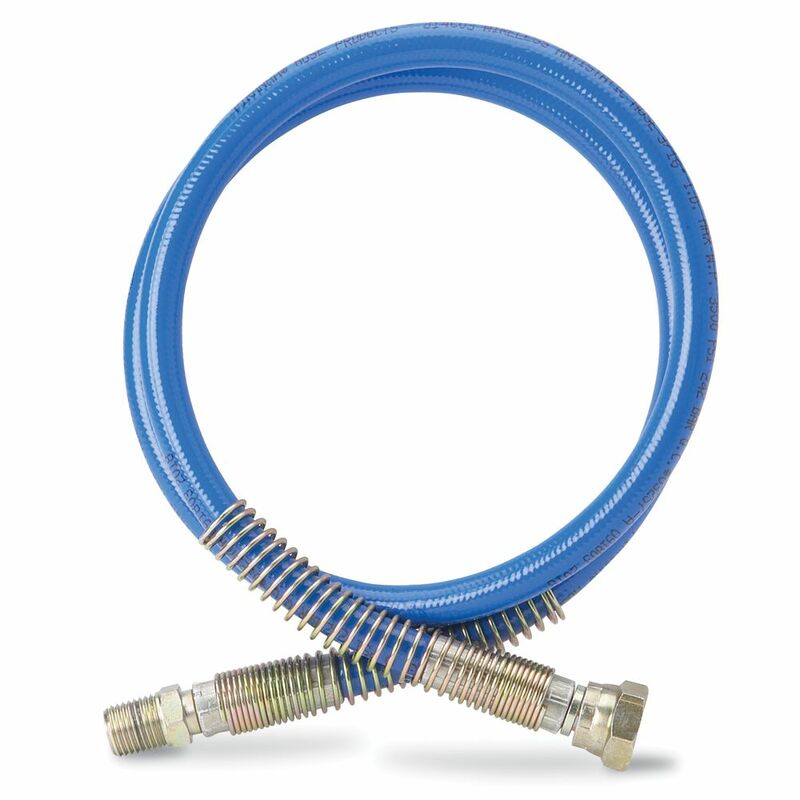 The smaller diameter hose creates a flexible connection between the spray gun and hose. The flexible connection makes for easier movement and less strain while spraying. It reduces hose tangling and provides more control when spraying. Whip Hose, 4 ft (121.92 cm) The smaller diameter hose creates a flexible connection between the spray gun and hose. The flexible connection makes for easier movement and less strain while spraying. It reduces hose tangling and provides more control when spraying.